Blyde Canyon Safaris, together with the Moletele community, offer scenic boat trips on the Blyde Dam. This is your opportunity to see the famous Three Rondawels and the Blyde River Canyon from the angle it’s supposed to be seen: Tick off those last couple of birds that have been eluding your bird list and enjoy seeing the hippo’s and crocodiles that make this dam their home. We offer daily trips at from 9am till 3pm. Join one of our trips or book the entire boat for yourself. Great thank you!!... - Christene du Preez. What the locals say about Blyde Dam Boat Cruise BCS. The boat tour was a pleasant experience and the guide was reasonably friendly and knowledgeable. My advice would be to offer some drinks for sale on the boat. Specially since it was a very hot day. 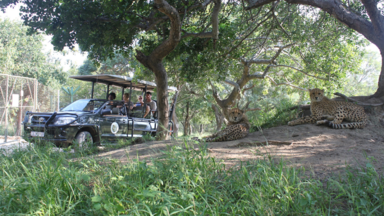 Book other great activities at Blyde Canyon Safaris.